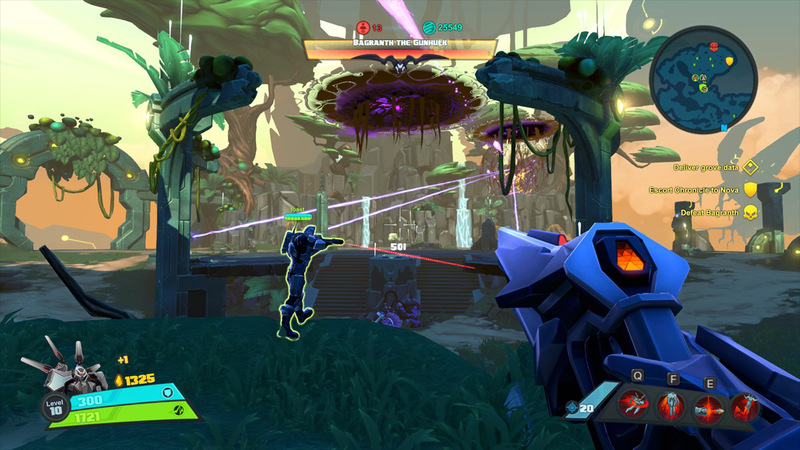 Battleborn may not be the game you think it is. I say this because when I downloaded the open beta on a whim last month, I was expecting something totally different than what I experienced. I feel like my expectations were probably in line with a lot of other people’s expectations of the game, so I wanted to spend some time at the beginning of the review to try to make it perfectly clear what kind of game Battleborn is and isn’t. 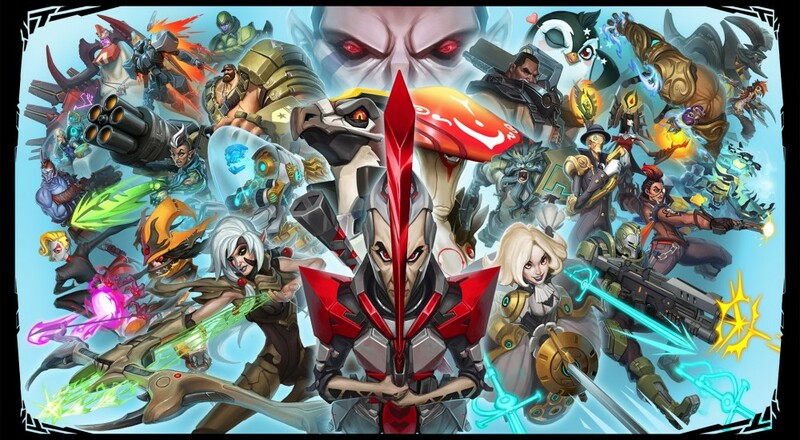 Battleborn is not a MOBA (a MOBA being a game like Dota 2 or League of Legends). Early information and previews of the game seemed to advertise it is a first-person MOBA, and in my opinion that is entirely not the case. There are some attributes to the game that it shares with MOBAs (a sizable hero roster, an in-game leveling system that resets each game, and character-specific skill sets), but the gameplay feels far more like Borderlands to me than a MOBA - which, you know, makes sense since Gearbox created both Battleborn and Borderlands. Battleborn is not a PVP-focused game. It features two separate gameplay types: Competitive and Cooperative. A player could decide to only play one type and they would still have a fulfilling gaming experience. All characters are unlockable through playing either type of gameplay (though players can likely unlock them faster through playing some of both PVE and PVP). In addition to the gameplay types being completely separate, they are also completely different. The co-op gameplay is not simply comp stomp of the competitive gameplay. It’s a mission-based system, but more on this later. Any account-based progression earned through either mode works for the other mode as well. Battleborn isn’t Borderlands 3. While there are similarities between the games (such as humor and aesthetics), there are some very clear differences. Character levels are not persistent and weapons are character-specific (there’s no replacing a character’s weapon with another one, as there are no weapon drops at all in the game). 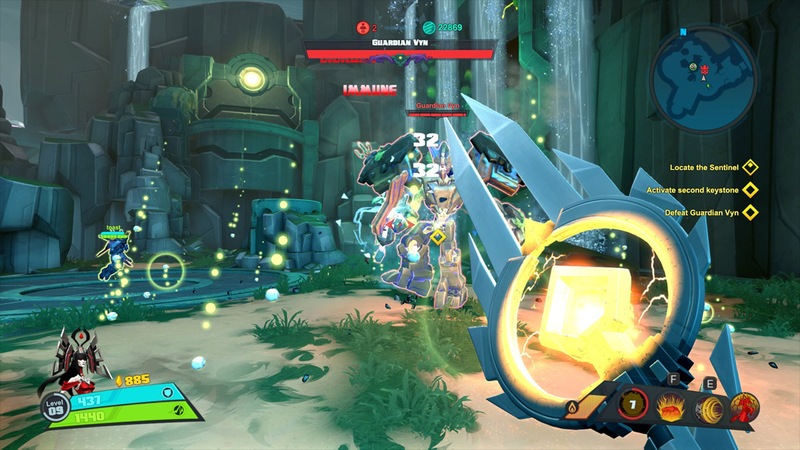 The progression is account-based and not character-based, and while Battleborn has a much larger character roster than Borderlands, it also features an unlock system for many of those characters. These are some of the major misconceptions I see flying around about Battleborn, so I hope that addressing them may be helpful to some of you out there reading this. So let’s talk co-op. Page created in 0.3892 seconds.